Range in Japan Hokkaido, Tohoku, Kanto, Koshinetsu, Hokuriku, and Shikoku Districts, Shizuoka, and Gifu Prefs. Date Since 1950s, naturalized in Hokkaido and Nagano Pref. Impact Competition with native plant. Hybridization with a native congener. Affected organism: Native hygrophyte (competition). 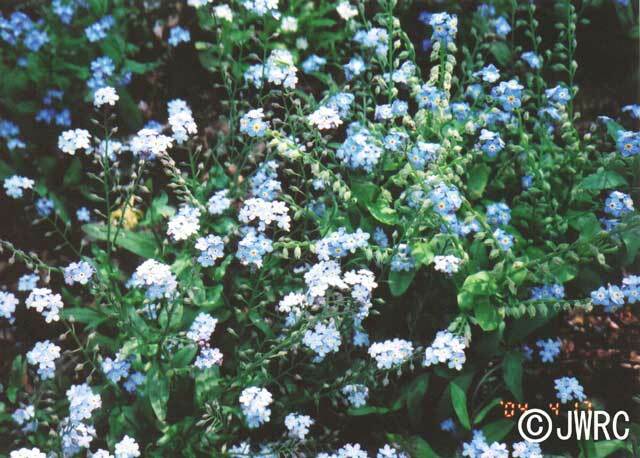 Native congener Myosotis sylvatica (hybridization). Introduced range in other countries Cultivated as ornamental plant worldwide.